Ballantrae, Ontario (2011 population 1,382) is a hamlet in the Town of Whitchurch–Stouffville. Named after the village of Ballantrae in South Ayrshire, Scotland, the community is centred around the intersection of Aurora Road (York Regional Road 15) and Highway 48. The hamlet was first settled in the early 19th century, and by 1895 it had a population of 300. The town was located on the edge of the vast lumber industry centred in the hamlet of Vivian; a spur-line of the Toronto and Nipissing Railway built in 1877 ran through Ballantrae from Stouffville to Jackson’s Point on Lake Simcoe. In the early 20th century, Ballantrae’s population declined dramatically due to large-scale deforestation and the erosion of the thin soil of northern Whitchurch Township into virtual sand deserts. With the passage of the Reforestation Act (1911), the process of reclaiming these areas slowly began. The Vivian Forest, a large conservation area on the edge of Ballantrae, was established in 1924 for this purpose. Ballantrae experienced 300% growth between 2001 and 2006 to 1,278 people, and 8% growth between 2006 and 2011 with a total population of 1,382 people. In 2011, Ballantrae had 105 children age 17 and under, and has one public school of the same name (Ballantrae Public School) with 259 pupils. A significant issue facing Ballantrae in the coming years is the federal government’s proposed development of an international airport directly south-east of Whitchurch-Stouffville (the Pickering Airport lands); under the current plan, an approach for one of the three landing strips would be directly above the communities of Ballantrae and Musselman’s Lake, with planes descending (or ascending) from 535 to 500 metres. The 2004 plan calls for 11.9 million passengers per year (or 32,600 per day) by 2032. A “Needs Assessment Study” was completed by the Greater Toronto Airports Authority for the federal government in May 2010. After a “due diligence review,” Transport Canada released the report in July 2011, and on June 11, 2013 announced a decision to proceed. Plans to have planes taking off and landing at a huge new airport east of the city ran into difficulty only hours after they were announced, with local and provincial politicians complaining they hadn’t been consulted and opponents promising a new battle in the war over the Pickering lands that has been raging for more than 40 years. Federal Finance Minister Jim Flaherty designated land for Toronto’s third airport — to be located in Pickering and operational by 2027 — at a hastily organized press event in Claremont Tuesday alongside at least one Ontario cabinet minister who wasn’t informed of the airport plan. Under the plan, the Pickering airport lands, which were purchased by the federal government and set aside in 1972, would be divided into three. Approximately one-third would be set aside for the future airport, one-third will be added to the Rouge Urban National Park and the remaining land will be designated for “economic development,” Flaherty said. Yet Ontario Transportation and Infrastructure Minister Glen Murray said he thought the announcement was only about the park land and that Flaherty blindsided him with the airport announcement. “We’ve had no prior discussion, no negotiation,” he told the Star after returning to Queen’s Park. “They announced they’re proceeding with the Pickering airport in some fashion without great clarity, without any heads-up, without any kind of consultation with us, which makes it hard to work together,” he said. The federal tactics are not likely to ensure greater provincial co-operation on the project, he said. In an email to the Star, Flaherty disputed Murray’s claim of being ambushed on the airport announcement. “Minister Murray is mistaken. He should check with his officials because for more than a week documents have been going back and forth with respect to the airport and the lands to be used for the park,” the federal finance minister said. Though the government did not release official numbers, maps distributed at the event appeared to designate a significant portion of the 18,600 acres of the federal land for the future airport, making it much larger than Pearson Airport, which occupies 4,400 acres. Alongside the airport, Federal Environment Minister Peter Kent announced that nearly 5,000 acres of the Pickering Lands will be transferred to Parks Canada, expanding the existing park by about one-third to almost 15,000 acres. This would make the future Rouge Urban National Park more than 13 times the size of Stanley Park in Vancouver. The remaining land would be designated for “economic development,” though exactly what that means was not made clear. The airport announcement risks inflaming tensions that have been simmering since the land was expropriated more than 40 years ago. Locals remain bitter and are promising to fight the airport once more. Anti-airport signs dotted the roads leading to Tuesday’s announcement and local Pickering regional councillor Peter Rodrigues said he wasn’t even invited to the event, but insisted he be allowed inside. “An airport is neither needed nor wanted,” he said. Fellow Pickering councillor David Pickles said he thinks any public process to discuss an airport will show strong local opposition. At the announcement, local Conservative MP for Pickering-Ajax, Chris Alexander, who spoke out against the airport before the 2011 election, refused to answer a question about why he had changed his position. NDP MP Olivia Chow (Trinity-Spadina) was critical of Flaherty’s firm commitment to get Pickering airport up and running in the absence of any study or consultation that it was even needed. “Building another airport without consultation with the provincial and municipal government, they haven’t done the environmental assessment . . . it’s putting the cart before the horse,” Chow said. Liberal MP John McCallum (Markham-Unionville) said that the Conservative government hasn’t made an economic case for putting an airport in Pickering. “If they really think there’s a need for this airport, then prove it,” he said. Flaherty cited a 2011 Transport Canada study, which indicated that an additional airport would be needed between 2027 and 2037 in the Greater Golden Horseshoe area. He said that growth has been concentrated to the west of the GTA and an airport is an essential part of bringing that growth east. “Now it’s our turn,” Flaherty said, pledging to personally head up a consultation team for the economic development element of the plan. With 10 years of construction factored in, he said, the new airport should be up and running by 2027. The Ajax-Pickering Board of Trade applauded the plan, saying the certainty it brings helps businesses plan and develop in the area. Much of the western portion of the federal lands lies on The Greenbelt, and it appears that some of the land set aside for the airport, and much of the land designated for economic development, would have to be exempted from The Greenbelt to move forward. The potential problem seems to have been anticipated before the announcement was made. Transport Canada will “work in co-operation with the Province of Ontario to amend the Ministerial Zoning Orders to restrict development in the surrounding lands to activities compatible with a future airport,” according to an information handout distributed to reporters. The David Suzuki Foundation weighed in, saying it was disappointed with the announcement. Local environmental activists, who were barred from attending the announcement and forced to gather behind orange barriers said they were disappointed with the announcement. “We’ve known about the federal land transfer to the Rouge for a year now,” said Jim Robb, general manager of Friends of the Rouge Watershed. While the federal government has been sitting on the Pickering Airport lands for 41 years, now they’re actually moving forward to build an airport. If federal Finance Minister Jim Flaherty’s timeline is adhered to, construction will begin in 2017 and the airport will open in 2027. Yes and no. The lands were always intended for an airport, but no one knew when it was going to be built. In 2011, Transport Canada issued a report saying the Greater Golden Horseshoe area would need a new airport by 2037, but no thorough economic analysis has been done. 3. Why was the land divided into three? The original tract Pickering airport land is more than four times the size of Pearson airport and not all of it is needed for a new airport. Some of the land is adjacent to the Rouge Urban National Park and some of it falls within the Greenbelt, so the federal government looks like it has tried to please everyone with a piece of the proverbial pie. 4. Is a new airport needed? Opponents question whether another airport is necessary and if one is, why it should be in Pickering. Other options include expanding Pearson and/or Hamilton Airport. 5. What obstacles stand in the way of the airport? Locals have been organized around this issue for decades. Local politicians have been elected on promises to oppose the airport. Conservationists want to see more land protected. But in the end, the federal government owns the land and will build an airport if it wants to, though funding, which could run into the hundreds of millions of dollars, hasn’t been secured yet. Cadillac Fairview and FRAM Building Group Introduce Flaire Condominiums to the one-of-a-kind Shops at Don Mills, Toronto’s finest open air village with brand-name shops, restaurants, entertainment and culture around a vibrant Town Square. 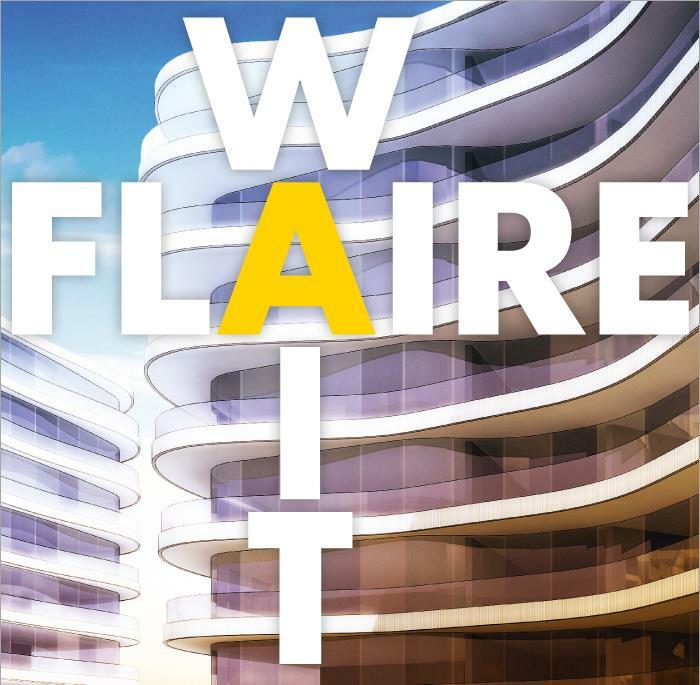 Dare to FLAIRE – REGISTER NOW for this incredible new condominium opportunity. 210 Simcoe Condos being developed by Diamond Corp and The Sorbara Group. They are teaming up to bring a new tower to 210 Simcoe St., directly behind the U.S. Consulate General, in downtown Toronto. No. 210 Simcoe Condos is a complex rising 19 floors on St Patrick and 25 floors on Simcoe Street with 294 units. No 210 Simcoe St. is designed by award winning and world renowned firm at II by IV Design Associates Inc. 210 Simcoe Condominiums will have a 2 storey lobby entrance with a signature wall feature and comfortable lounge area for visitors. The lobby, common elements and extensive amenity offerings at 210 Simcoe St. will also have an 18 hour a day and 7 day a week concierge/security desk in addition to a green wall feature facing Michael Sweet Boulevard with decorative glass wall panels which give this building a unique and vibrant feel. 210 Simcoe condominium Residences will include an amenity level that will include an art gallery, separate women’s and men’s locker rooms complete with steam rooms, lounge area, spacious event/catering space, full kitchen, private boardroom/conference room for business and working from home in addition to a fully equipped fitness gym with weight and cardio areas. There is also a yoga studio on site. Outside the 210 Simcoe condos will be home to an expansive landscaped courtyard with water fountain, stepping stone water element, natural plantings that are low maintenance and don’t require a lot of water in addition to a gazebo with plenty of comfortable seating. The building itself will have underground parking accessed by an elevator with security monitoring from the concierge desk in addition to all main entry/exit points that are monitored by closed circuit video systems for added security. 210 Simcoe Condominium Residences will also include visitor parking on the ground level in addition to key fob access to all common areas. There is a car share program with three on site cars for resident use in addition to a mail room by the elevators. All new construction protected under the Tarion War. Corp.
What is THE BOND? It’s a connection, a destination, a state of mind. An iconic address in the heart of downtown, steps to the city’s most celebrated cultural, fashion and sporting landmarks. Live at the cutting edge of urban design and style. Connect with THE BOND CONDOS. 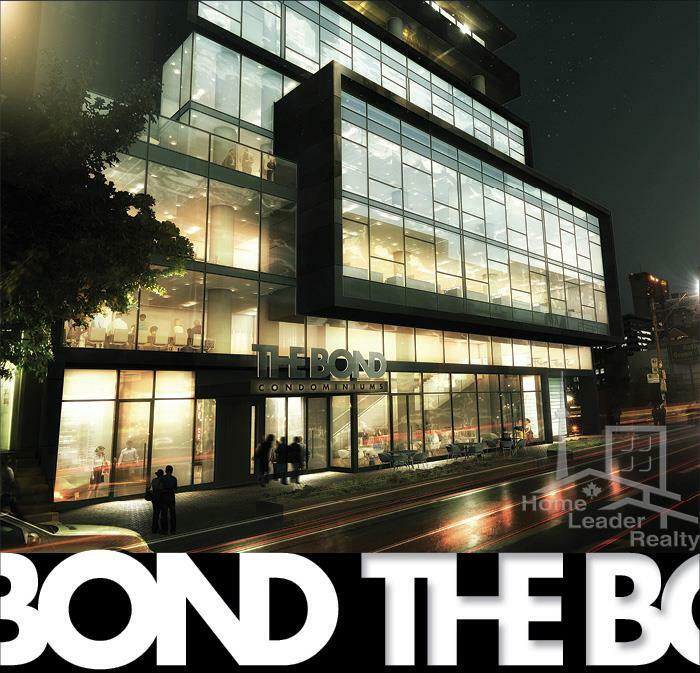 The Bond Condos, Toronto’s iconic new condominium coming soon to the Entertainment District, has generated a buzz of excitement! As anticipation builds towards our upcoming Broker Preview Event, we are pleased to release an artist’s rendering of the stunning Podium to learn more about The Bond Condos. Rising 41 storeys at Adelaide and John Streets, The Bond Condominiums is a soaring vision of translucent glass and steel. The impressive Podium Lobby is beautifully appointed with gleaming columns, lush plantings and art accents. The Bond Condos offers a wide selection of one, two and three bedroom suites and grand penthouses, designed and oriented for spectacular views and detailed with immaculate elegance. Only a block long, The Bond has been around more or less since the inception of the city and still possesses many of its beautiful 19th century brick warehouse buildings. Today it is at the heart of the Entertainment District, steps from The John Street Cultural Corridor. Here you’ll find the iconic Art Gallery of Ontario and the Ontario College of Art and Design. Then there’s the historic Much Music Building, at Queen Street, which every spring becomes the site of the station’s annual music awards. Further down there’s the Scotiabank (Multiplex) theatre and the new “jewel in the crown” of the John Street Cultural Corridor, the Bell Lightbox, home of both the Toronto Film Festival and the Ontario Cinematique.